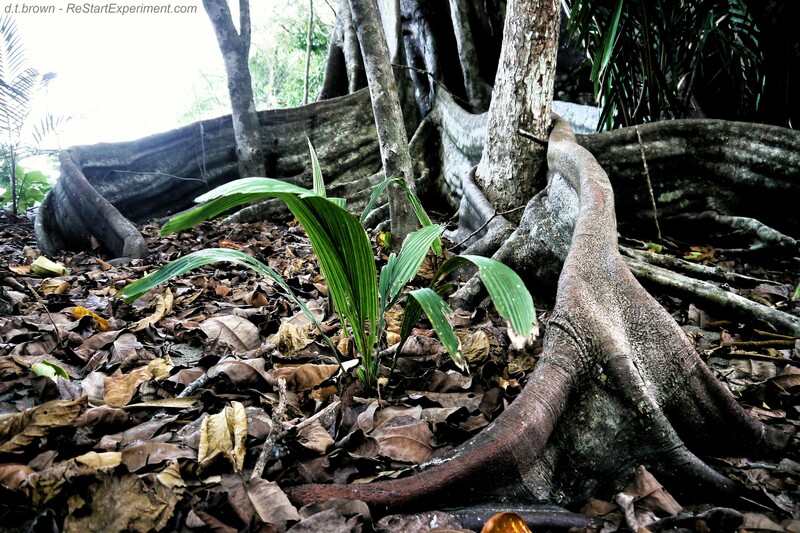 ^ Hand of the ancient Panama tree (Sterculia apetala) on a jungle-beach trail leading toward one of my favorite surf spots. 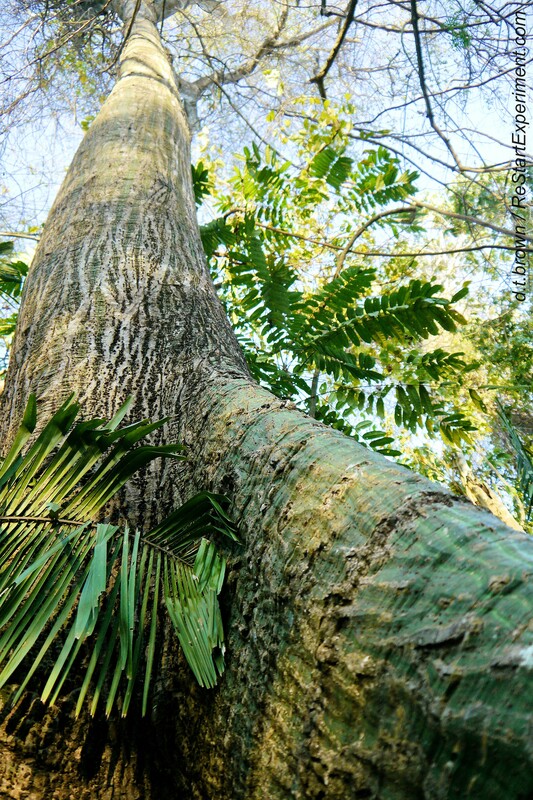 Its name comes from the indigenous people’s phrase for “Guardian of butterflies and fish,” and is the tree that the country of Panama is named after. I was drawn heavily to this particular tree, which certainly feels like a guardian. It is too massive and ancient to do it justice with my camera. If there is reincarnation, I can certainly see it lived out in these trees. Walking through the jungle and on the beaches around here, I am captivated by the personality with which nature conducts its interactions. Animal life, of course, but also the flora, and the rocks, the sea, air, clouds, sun, moon, stars…all of it. Trees walking. Rocks singing. Air whispering. Rain touching. 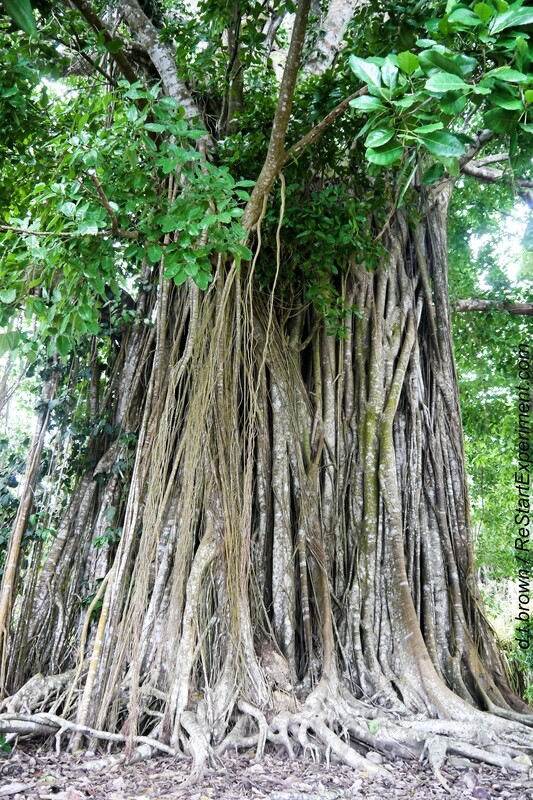 ^ Matapalo tree, name literally translates as “Tree Killer.” A parasitic vine that grows around an existing tree and feeds off it, until it grows to totally encapsulate the existing tree and essentially take its place. This is a very large, locally special specimen on a nearby beach. The village in which I currently live is named after this type of tree. 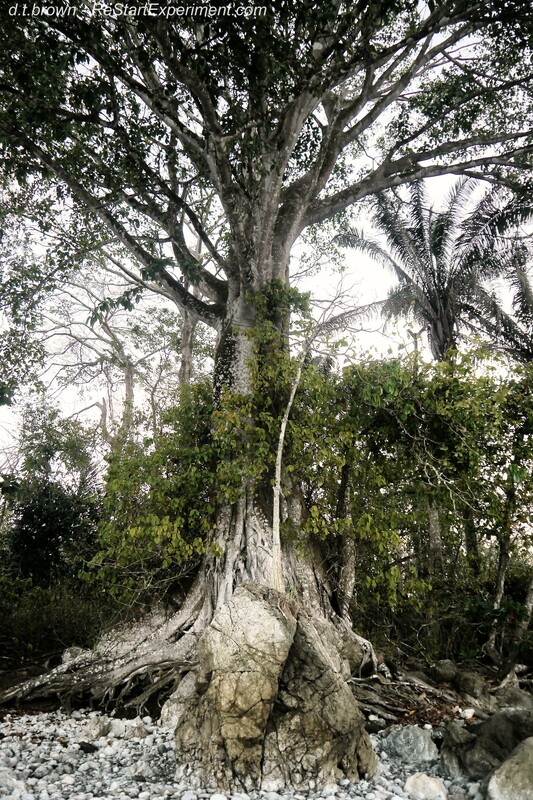 ^ I love the way the trunk/roots of this tree are nearly indiscernible from the large rock in front of it. The rock looks like part of the root system. Everything works together out here…blends and blurs together…all one…beach blends into rock, into tree, into earth and jungle, and me. In living more connected with, and dependent on, nature, I am seeing and feeling more of its personality, touching me in a deeper, quieter part of my self. And I feel good, better. Healthier. More complete. ^ Balsa tree. I love balsa. When you knock on this wood, it rings hollow. I also love the bulbous shape and green-streaked bark on blasa trees. This one reminds me of the walking tree creatures in, well, whatever that movie was…Harry Potter or Lord of the Rings, one. Close up of its legs. This tree, along with the others pictured here, are alive with personality. I am grateful for being taught so much from nature. It is my school and my temple. 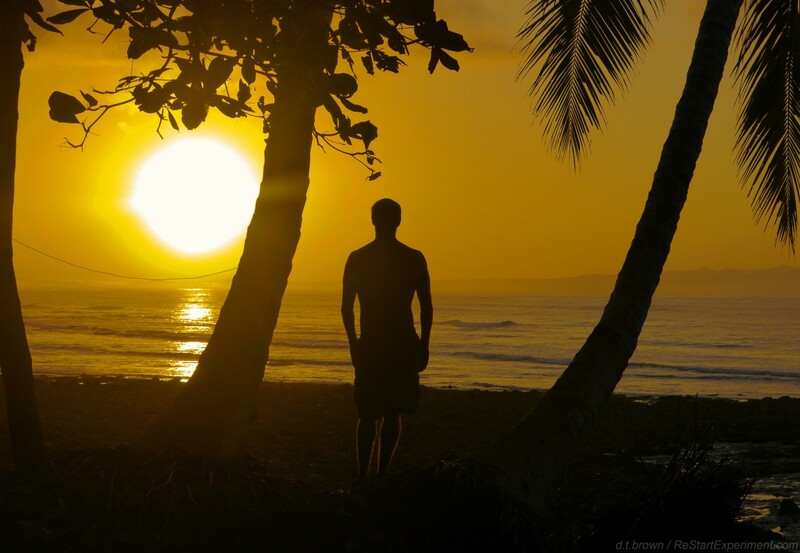 And I am reminded by these natural things that I am grateful to have human form. Reminded that this life really is a special opportunity. 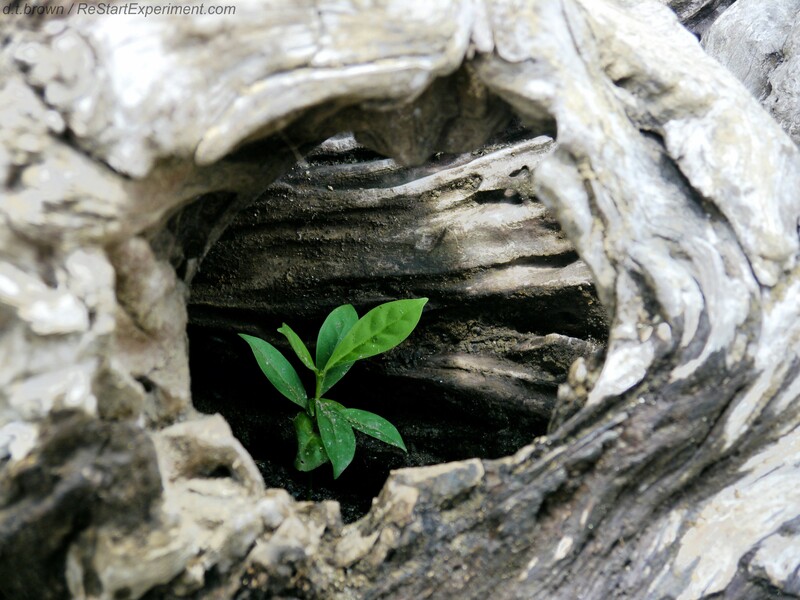 ^ Seedling inside the dead log laying in the natural pool nearby. Rebirth being sheltered within the remains of its grandfathers. 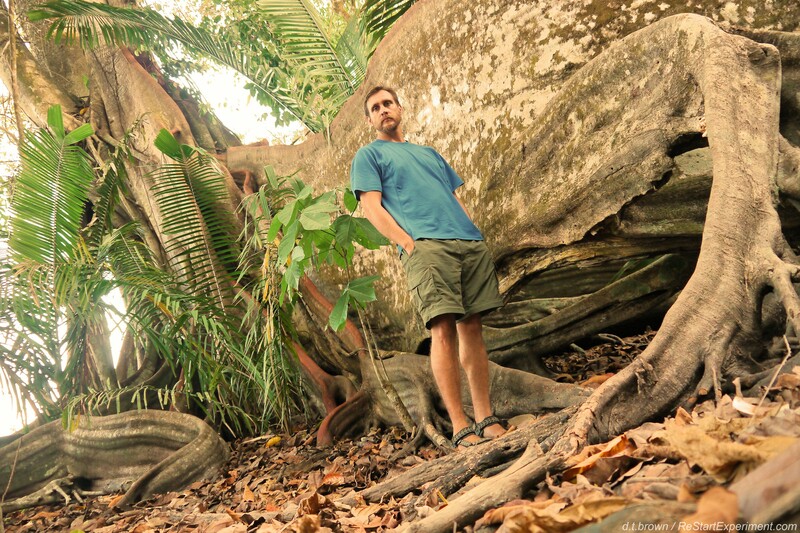 ^ Self-portrait of me under the guardian arm of the ancient, massive Panama tree.